When I make a recommendation article, I will usually lean towards easily accessible media so that should someone take my recommendation (Yeah I know that’s not likely) they can easily acquire it. Since you can’t really easily go to a musical if you’re reading this from the other side of the world, I won’t call this a recommendation. But I still really wanted to say something about it so we’ll classify this one as miscellaneous. When the announcement for Bat out of Hell: The Musical was made I was ecstatic. While the album was before my time, I found myself picking it up and loving it in my late teens and early twenties. It was very different from my usual tastes but I found it to be a very fun listen. So when they announced it was only playing in England I was a little bummed out. Then sure enough, they announced it’ll be playing in Toronto. I immediately texted my best friend (who lives in Toronto) and said let’s go! Myself, my friend, and his longtime girlfriend all like the album and dished out the extra cash to be in the premium seats nearly in front of the stage. I’ll admit that I haven’t been to many musicals in my life so I don’t have many other ones to compare it to. But, I can safely it was among the best things I’ve ever seen. Better than any other musical, concert, movie, comedy show or even the circus as a kid. I may even say it was phenomenal, at least for me anyways. I know my friends thought the same too, and they’ve been to a few more musicals than myself. From start to finish it was a great ride. The storyline was really the only thing a bit lacking, but it is a musical so a simple story is to be expected. I’m assuming making an overly complex story doesn’t quite work for musicals. The stage props, effects, lighting, and transitions were pretty solid, and I enjoyed how they got creative with the set at times. Costumes and choreography were fairly good as well, no complaints there. Though it’s not meant to be a comedy, I found myself having a good laugh when they did sparing utilize some humorous dialogue as well as some good prop comedy. But what really made the show for me were the actual musical performances. All the performers, especially the six main cast members, looked like they put their heart and soul into the show. None of them were lacking in talent department either, when they sung they hit their notes and bellowed out of their lungs with passion for the songs. 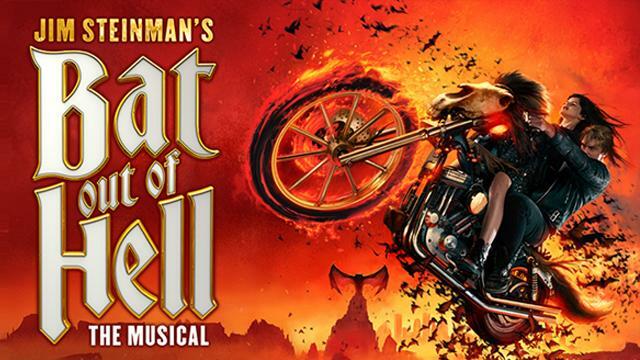 And let’s not forget that the Bat out of Hell album itself is almost written like a musical or rock opera so the music was a natural fit for the show. The performers combined with the style of music gave an unforgettable experience. Even show goers who didn’t like the original album would have smiles on their faces. I can see why it’s been getting such great reviews. And while I’m not a critic, I did want to make a little blurb about it (though not too detailed so I can avoid spoiling it for anyone) and commend the cast and crew for an unforgettable evening. If you find yourself in Toronto for the next few weeks, or in London next year when it’s there, I highly recommend you don’t miss this show. This entry was posted in Miscellaneous and tagged Bat out of Hell, Meat Loaf, Music, Musical. Bookmark the permalink.